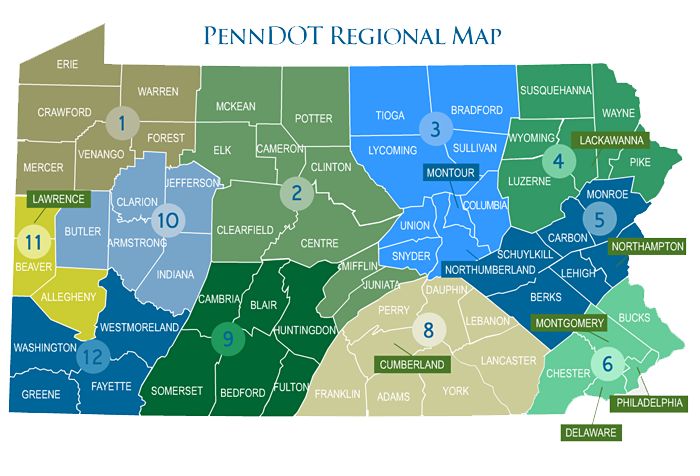 511PA provides traffic information for roughly 40,000 miles of state-owned roadway. Advance travel advisories, additional construction information and other news in your region can be found by clicking the appropriate region below. To see all active construction projects, those planned in our four and Twelve Year Plans or those made possible by Act 89, the state’s transportation funding plan, visit PennDOT's Projects website.